Pure Cod Liver Oil is the best source of Omega 3 which is essential nutrient to keep the overall health sustained. Seven Seas Pure Cod Liver Oil capsules has efficient quantity of fish oil omega 3, vitamin A, vitamin D, and Vitamin E. It is formulated to nurture and support brain, bone, heart and vision. Doctors highly recommend cod liver oil capsules to take once a day so you can have healthy body. One bottle has 120 capsules so it is the supply for 4 months. Do not exceed the dose of one capsule in a day and keep it away from children’s reach. You can get Seven Seas Pure Cod Liver Oil capsules price in Pakistan by finding it in the array of Amazon imported products in Pakistan. Support your important body organs and keep your body healthy. Buy Amazon products in Pakistan by placing your order and get the product at any of your places, any area in Pakistan. 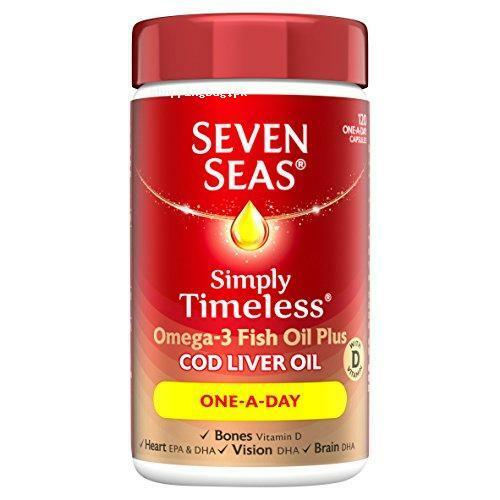 You will have the contenting and satisfying experience of Amazon online shopping in Pakistan while bracing your body health with naturally effectual cod liver oil by one of the best brand of Seven Seas.